A good bartender knows how to make a ton of different drinks and is as efficient as they are polite. What separates a good bartender from a great bartender isn’t just being able to make a killer cocktail (although that is very important); it’s the uncanny ability to make you feel like this is your bar; and that you’ll go thirsty without one of their creations. 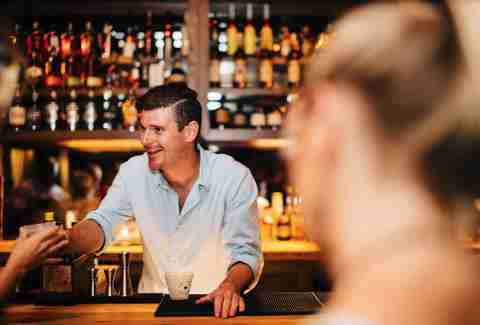 Charleston has a number of stellar bartenders who fit this description -- Megan Deschaine of 492, Jayce McConnell of Edmund’s Oast, Craig Nelson of Proof, Kyle DeGolyer of Poogan’s Smokehouse -- so picking one as bartender of the year in the Holy City is no easy task. After a lot of careful consideration (and more than a few cocktails), we feel like we finally found The One, and it’s Teddy Nixon. TNix is the brain behind the beverages at Bar Mash, part of The Indigo Road restaurant group. Although he’s only been in Charleston since 2013, he’s already left his mark in a big way. 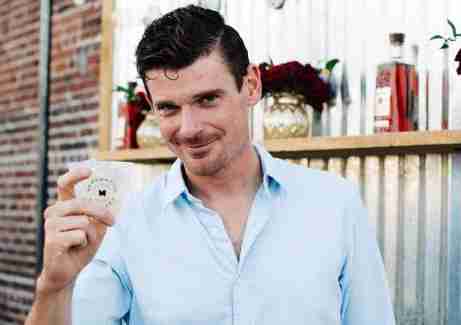 He started his Charleston bartending career at Edmund’s Oast, training under Jayce McConnell before getting to be the bar lead at Bar Mash. Although he learned a lot throughout his 15 years in the food & beverage industry, Teddy is a mostly self-taught mixologist, a fact that’s surprising and impressive given his success. When creating the vibe and menu for Bar Mash, Teddy wanted a low-key, divey feel, but with upscale drinks and food, and a strong emphasis on whiskey. Similar to the way he describes himself (“I like to be fancy, but I can also get a little weird”), Bar Mash is a place where you can get an artisan jello shot, a $12 cocktail, or an ice-cold Coors Banquet (Teddy’s favorite beer) on draught. When hiring his bar staff for Mash, Teddy really wanted to avoid a common customer problem of a varied experience depending on who’s manning the bar. Teddy really knew he was doin’ it right after the Iron Mixology contest at the Charleston Wine + Food Festival. The William Grant-sponsored event pitted 28 Charleston bartenders against each other, then narrowed down the competition over three rounds. In the same style as Chopped, the bartenders were presented with one secret ingredient, which they had to use to create a one-of-a-kind cocktail for the competition. The first round’s secret ingredient was Drambuie Scotch, the second round was corn, and the final round required using coffee. In the final round, Teddy competed against local bartenders (and friends) Steven Huddleston of The Spectator, Sam Gabrielli of Proof, and Iouli Burroughs of Fish, before being named the 2016 Iron Mixologist, his crowning achievement to date. 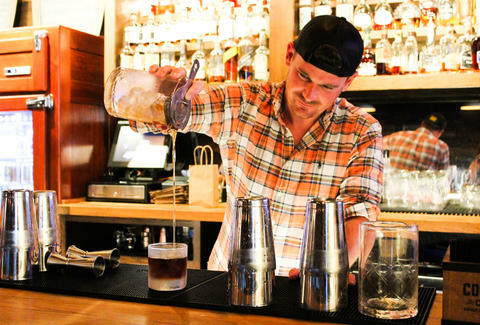 Many bartenders find working the bar to be part of a routine, where the job is to dole out drinks as quickly as possible before turning to the next customer. Teddy, on the other hand, prefers to take his time. For Teddy and many others in the modern food & beverage industry, being a bartender or food-service professional is no longer just a side gig or something they do while waiting for something better to come along. If you take it seriously, you can make it a profession, especially in this city. “This is my career and I love it,” Teddy said. Sydney Gallimore is a food writer from Charleston, South Carolina who drank quite a few cocktails in the name of research for this article. Follow her adventures on Twitter @Sydney_inc.